In 2014 fiscal year, "child rearing salon" was held in 57 co-ops across the country with about 150,000 parent-child participation. JCCU summarizes the April 2016 business turnover of the 61 community-based co-ops nationwide operating store outlets and home delivery service as the main domain of business. Seikatsu Club launches new "children's curry"
Seikatsu Club Consumers' Cooperative Union responding to the needs of the child-rearing generation has begun the sale of "children's curry" through the co-op's home delivery channel from April 2016. On April 1, 2016 JCCU submitted a "petition related to the liquefied petroleum gas distribution" from a summary of a questionnaire by co-op members, to the Minister of Economy, Trade and Industry. Co-op Sapporo with the cooperation of Otsuka Pharmaceutical company (Tokyo) and Shikoku University started a "simple nutrition check service" for the grocery service users via Otsuka's exclusive tablet terminal in May 10 2016. 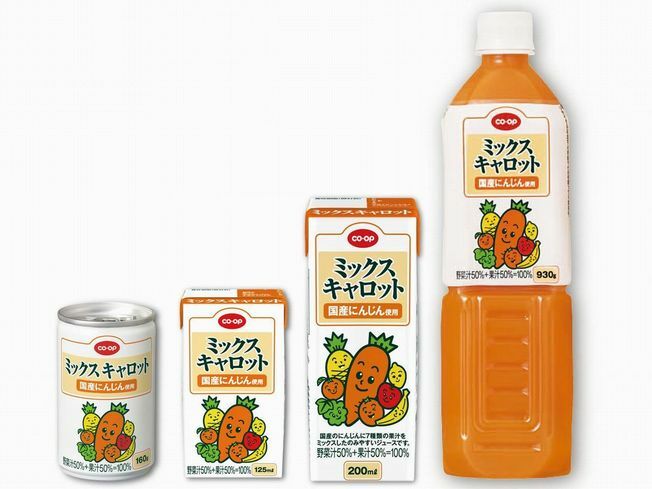 In commemoration of the 35th anniversary of the launch, JCCU has renewed "CO·OP mix carrot". Kyoto Co-op organized rice planting in the rice terraces of Sodeshi - Kyotango, facing the sea of Japan, for school children on May 14, 2016. In 2011, "Co-op Environmental Campaign Fund" was established by Japanese Consumer Co-ops and every year donation campaign is organized through the sale of Co-op detergent (11 items) to raise funds to support environmental activities both in Japan and abroad. JCCU released a new product "Co-op Hokkaido edamame" which is green soybeans, cooked in the pod and sold as a frozen item on April 1, 2016. The International Co-operative Alliance (ICA) president Ms. Monique Leroux paid a two-day visit to Japan, mainly to Tokyo and Fukushima. On April 27, the Health and Welfare Co-operative Federation of Japan (HeW CO-OP JAPAN) in cooperation with JCCU conducted health consultation for co-op members in the stricken area over the counter of one of the stores of Co-op Kumamoto.